CNN’s report today that they found Ambassador to Libya Chris Stevens’ diary lying on the floor of the “largely unsecured consulate compound where he was fatally wounded,” four days after Stevens’ death, raises serious questions about State Department security procedures. Not just security procedures for our ambassadors, which were clearly lacking. Security procedures for the crime scene itself. How could CNN reporters simply walk into an unsecured facility and find evidence like the ambassador’s diary lying around? Where was the FBI? Where was the State Department? Where was anybody? 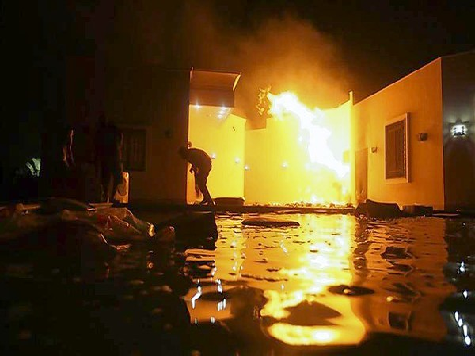 It was reported last week that “Sensitive documents have gone missing from the consulate in Benghazi and the supposedly secret location of the ‘safe house’ in the city, where the staff had retreated, came under sustained mortar attack.” How many other vital pieces of intelligence were lost in the days after the murder of our ambassador? And once again, where was Hillary Clinton’s State Department?